Customised by the 2 faces. The glitter inside the liquid is heart-shaped. Snowball personalized on both sides. It is cylindrical in shape, and the glitter inside the liquid is heart-shaped. Inside are your photographs, isolated from the liquid of the snowball. A very romantic and original gift. 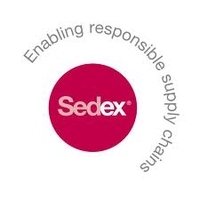 SEDEX allows companies to access information about their suppliers, including labor standards, health and safety, business integrity, and environmental performance.